Memorial Gardens. Visitation with the family will begin at 11 AM. pastime was basketball which he loved. In addition to his parents, he was preceded in death by a brother, D R.
Finney; sister in-law, Elsie Peterson Finney and sister, Bettie Roberts. Manchester Funeral Home is honored to serve the Tart family. Franklin County. The family will receive friends beginning at 10 AM. Ryker Terpay and Couture Waldrop and many nieces, nephews and cousins. Funeral services for Mr. Ralph Junior Duke, age 95, of Beechgrove, TN will be conducted at 11:00 AM on Wednesday, April 17, 2019, at Coffee County Funeral Chapel with Bro. Tommy Underwood officiating. Burial will follow in Gilley Hill Cemetery in Cannon Co., TN. The family will receive friends from 5:00 PM until 8:00 PM on Tuesday, April 16, 2019, at the funeral home. Mr. Duke passed from this life surrounded by his loving family on Sunday, April 14, 2019, at VA Medical Center in Murfreesboro, TN. Ralph was born in Bradyville, TN to the late Cecil and Novella Duke. He retired from Caterpillar Tractor Company after 33 years. Ralph worked even after his retirement, farming and doing other jobs. He was a simple man who didn’t ask for much, but the love of his friends and family. Ralph was a loving husband, father, brother, and grandfather. In addition to his parents, Ralph is also preceded in death by one sister, Pauline Atkins. He is survived by his loving wife of over 60 years, Marcia Duke; three sons, Ralph (Deborah), Roger, and Richard (Shirley); one daughter, Peggy Richiger (Walter); eight grandchildren, Brendan Duke, Alex Duke, Ryan Duke, Dylan Duke, Bill Losher, Jimmy Losher, Kayla Duke, and Josie Bates; six great-grandchildren, Lilly, Scoute, Elaina, Kaden, Madison, and Tyler. Coffee County Funeral Chapel is honored to serve the Duke family. Marsha Gayle Sartain Spencer passed this life on Thursday, April 10, 2019 in Murfreesboro at the age of 68. Franklin County to the late Horace and Johnnie Mae Gattis Cunningham. Funeral Home chapel with Bros. Ben Flatt and Philip Davis officiating. 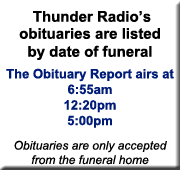 37220.Kilgore Funeral Home is in charge of arrangements. Funeral services for Minister James Cagner Maxwell, age 73, of Manchester, TN will be conducted at 10:00 AM on Saturday, April 13, 2019 at Manchester Funeral Home. Burial will follow in Little Hurricane Cemetery in Coffee County, TN. Visitation with the family will be from 4:00 PM until 8:00 PM on Friday evening at the funeral home. Mr. Maxwell quietly went home to be with his heavenly Father on Saturday, April 6, 2019 at Alvin C. York Medical Center in Murfreesboro, TN. James was born on June 17, 1945 to the late Charlie Teal and Lettie Lee Scott Maxwell. He was a member of the Little Hurricane Primitive Baptist Church. James worked for the State of Tennessee as a master draftsman. He served his country in the United States Army during the Vietnam Era. In addition to his parents, James was also preceded in death by three brothers, George Edward Maxwell, Samuel Maxwell, and Charles Maxwell; and two sisters, Clara Emily and Nannie Lee Maxwell. He is survived by his loving wife of 28 years, Clemmie J. Baugh Maxwell of Manchester, TN; three sons, Robert Anderson, Joseph Maxwell, and Calvin Maxwell, all of Shelbyville, TN; one daughter, Aretha Anderson of Shelbyville, TN; foster children, Nicole Reese of Decherd, TN and Keith Reese of Nashville, TN; one brother, Elvis Maxwell of Detroit, MI; one sister, Annie Lou (James Darden) of Shelbyville, TN; and a host of grandchildren, cousins, and special friends. 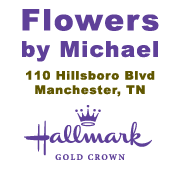 Manchester Funeral Home is honored to serve the Maxwell family. James Binford Stidham and Scott Andrew Stidham; 7 grandchildren. who preceded him in death along with his wife, Bertha Ann Wood Odle. lifes story in the book: Hell and Highwater on Hinkle Creek.